Contrary to what some information on the internet may tell you, the English Cream Golden Retriever is not a separate dog breed from the Golden Retriever. It is simply a coat color variation of the Golden Retriever. These dogs tend to have a light white or cream-colored coat. As they are still standard Golden Retrievers, they are recognized by the AKC and can be registered. An English Cream Golden Retriever has all the same traits as a Golden Retriever. They are open, friendly, and make a great family pet. 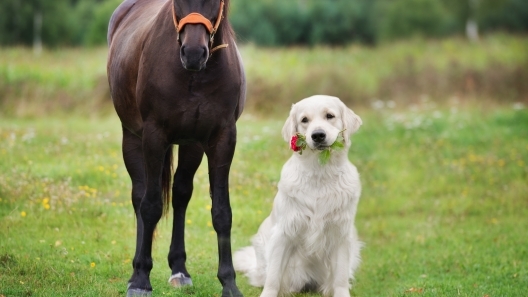 The Golden Retriever is the quintessential friendly dog breed. They get along with strangers, do well with children, and are also good with other pets. They are energetic, full of personality, and are devoted to their families. They also love attention. Due to their friendly, gentle nature and intelligence, they can often be found working as service, therapy, or search and rescue dogs. They can be prone to barking, but training early on can curb this habit. English Cream Golden Retrievers are moderately adaptable. They fair well in most climates. As with most dog breeds, they can be sensitive to extreme heat. Because they are high energy, they tend to be a better fit for larger homes and do not tend to adapt well to apartment living. This dog breed is generally healthy, particularly when bred from good bloodlines. Canine cataracts and hip and elbow dysplasia are the main health concerns with Golden Retrievers. Checking with the breeder about the genetic history of the parents and asking to see any related health clearances can help allay some of these concerns. Golden Retrievers are intelligent and highly trainable, which makes them a great fit for owners of any experience level. 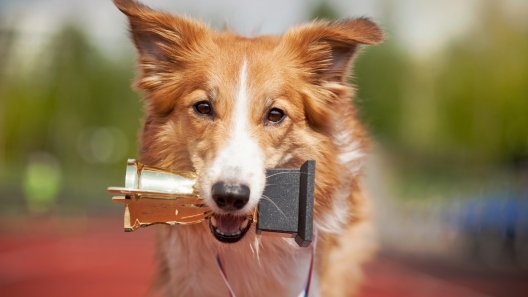 They tend to be a great choice for first-time dog owners and tend to excel in obedience competitions. Don’t be afraid to attend some obedience classes with your puppy. Anything you learn will help and will only strengthen the bond you are building with your puppy. These dogs love to be around people, especially their family, so they do not like to be left alone for long periods of time. It’s important to ensure your English Cream Golden Retriever has an active role in your life. Although they love being around people, they can also be sensitive. Loud noises or large gatherings can be overwhelming for them. Make sure you are checking in with your dog to ensure they are enjoying themselves and are feeling included, instead of starting to exhibit signs of being overwhelmed. These dogs have a long coat and will shed. Proper grooming will help keep the shedding under control and prevent tangles and mats. You will want to brush your dog’s coat every other day and get them professionally groomed a few times a year, especially as the seasons change. You will also want to trim their nails monthly and brush their teeth regularly. Daily brushing is ideal, but weekly brushing should be sufficient to keep tartar buildup at bay. You will also want to check their ears to ensure they are clean and dry. Because they are active dogs, they also tend to get dirty, so will need regular bathing as well. 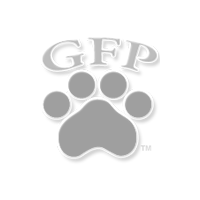 It’s important to get your puppy comfortable with having their paws, ears, and mouth handled early on as this will make general grooming much easier as they grow. The English Cream Golden Retriever is a high energy dog breed. They do tend to calm down as they grow into adulthood, but will still need several walks a day to get plenty of exercise. 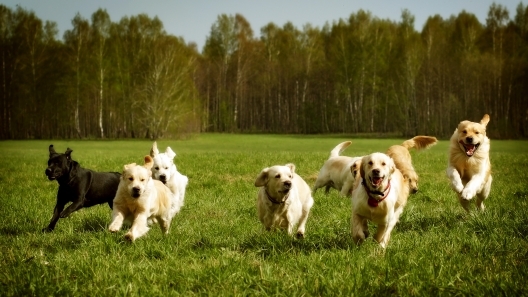 A game of fetch, a trip to the dog park, going on a hike, or going swimming are great activities to do with your Golden Retriever. This dog breed usually stands 20 to 25 inches tall and weighs between 60 and 80 pounds. An English Cream Golden Retriever will generally live 11 to 12 years. The same Golden Retriever, named Buddy, portrayed Comet in the Full House series and Buddy in Air Bud. English Cream Golden Retriever dog?